Hello, lovelies~ Today, I will be introducing my first post in my series 'DOAPJ Interviews'. I will be featuring a beauty blogger, particularly ones that are new in the beauty blogging community. As I've mentioned before, this is just to make people more aware of our beauty blogging community. If I like a blog, I will feature them here and ask them a few questions about their blog. Let's meet the first one, shall we? 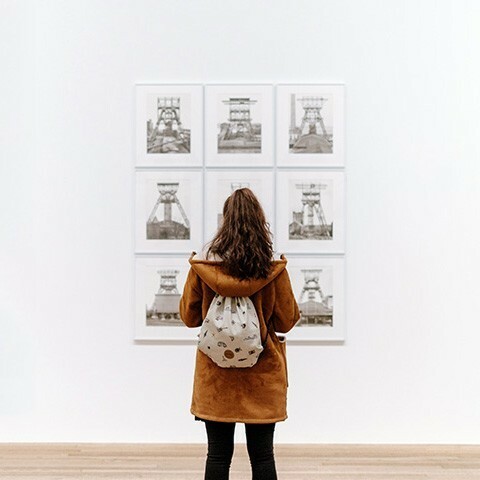 A blog that has two writers with two completely different personalities, but still manages to put in useful information in a humorous way. Let's meet, Romacchiato! I work as an English teacher in some school at Permata Hijau while Macchi sells buildings. We are best-friends, living apart in the cruelly beautiful city of Jakarta. We share the same physical build that many think we're sisters, but we are just so much like yin and yang. My interest is more to skincare, Macchi is to make-ups. Even our skin reacts differently to beauty products! I'm allergic to makeups while Macchi's skin cannot deal skincare well, lols. Not even halfway during the interview, you're already funny and laid back. Tell me, why did you decide to blog? To be really honest? I decided to blog in order to get used to writing. I think it's ridiculous if an English teacher like me never spend time to write. Macchi just happened to be there along the way, and I somewhat 'kidnapped' her to join me to the journey of beauty. Wow, imagine that. A cup of coffee inspired a blog name. Now, what or who are your inspirations for blogging? Ooooh, this is a tough cookie. Macchi doesn't really pay attention to the bloggers (only the content), so let's just say hers is.... well, no one. *sheepish* On the other hand, I always rotate my favorites, so there's no the most liked category for me. Thus why I decided to find a way to heal my skin. Like everyone else and their mum, I first stumbled upon Bubzbeauty's vlogs, then Michelle Phan. Then I started reading their blogs (and decided not to read anymore since I got bored of them lol). Then I stumbled upon IBB, simply read their blogs from afar. I do remember that I frequently visit yours (yes, you! Stephanie Nangoi :D~~~) and Priscilla Clara's blogs, though. I also read Singaporean blogs a lot like Xiaxue's and Cheesie's but I think they're more to exposing beauty + personal, celebrity life than the skincare itself. So I got bored again and stopped reading their blogs for some time. My current favorites are Sesame (http://vivawoman.net) and Bunbun (http://bunbunmakeuptips.com/). Sesame, because I see her like a guru of DIY and skincare. Bunbun, because she's fun and interesting. She's also knowledgeable in skincare, and that makes me adore her more. Perfect combo of skincare and makeup! To be honest, I haven't really explored the beauty blogging world long enough, so I bet there would be more to discover. For now I'll just read what catches my eyes. Including David Thorne's from http://www.27bslash6.com/ AHAHAHA man that blog is hillarious. Awh, that's so sweet of you. Moving on to makeup. What is your makeup style? 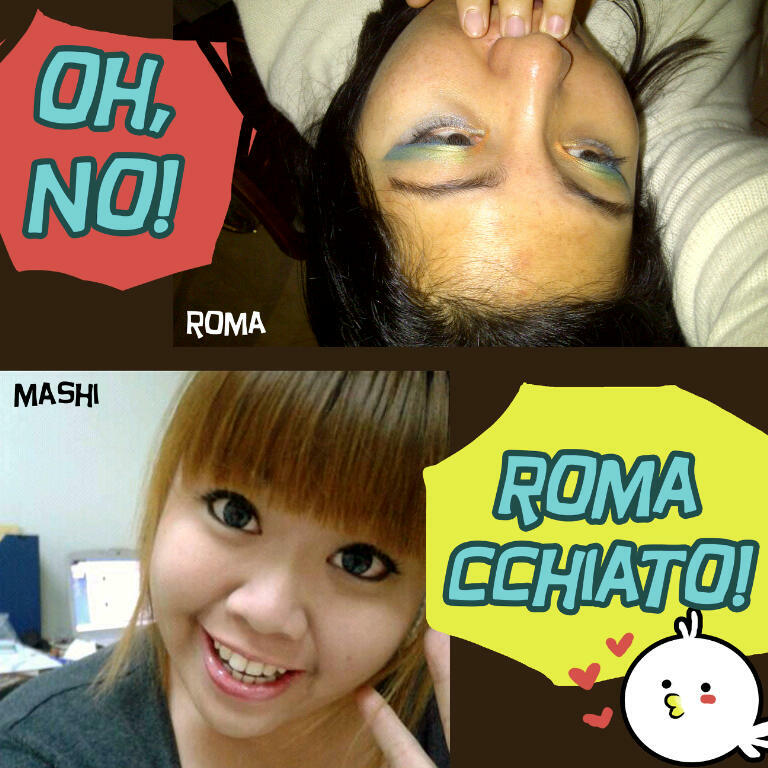 Roma: Natural, simple, ulzzang style. My makeup is always eyeliner, BB cream (sometimes) and lipstick. Macchi: Full-makeup, gyaru style. Her makeup always consists of fake eyelashes, eyeliner, eyebrow, colored lenses, lipstick, BB cream, powder pact. Seeing your blog, you discussed more about the ingredients. Any reason why? Cuz I'm TIRED of not knowing whatever I've put on my face. My carelessness here cost me my face, since I just nodded along the skin-doctor, obediently put on random skincare onto my face without really knowing what's in it! So I'm taking a revenge by doing a research for the ingredients. (In fact, just now I just put smeared Maybelline Lip Balm onto a thin, small glass and put it under the microscope just to find out what it really looks like. :| DUR HUR) So I guess only US can know what works best for our skin! Any tips for other beauty bloggers? Let the skin speak for you. Sounds pretty but I believe this fishes at least one raised eyebrow from you guys.